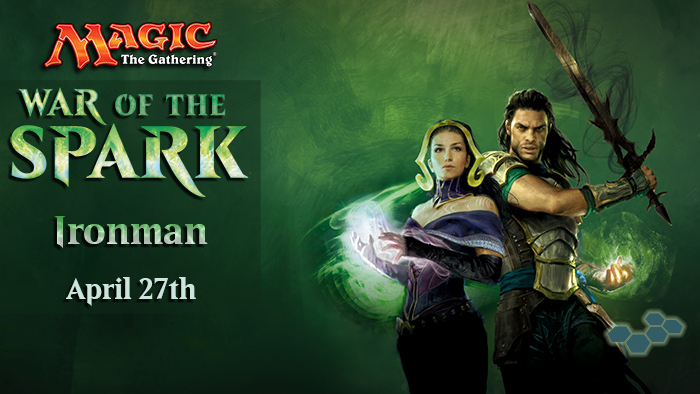 This time in the prize pool is packs of War of the Spark! The Ironman with the most match wins across all three Saturday prereleases takes home the prize! In addition, it's only $75 for all three tournaments, so if you've got the guts for it you don't want to miss out! Space is limited, so make sure to reserve your spot early. From 1-2 Ironman participants, there will be half a booster box of WAR to be won, and with 3+ participants a full booster will go to the champion! In addition, more Ironman entrants = more prizes that will go out to lower places as well!